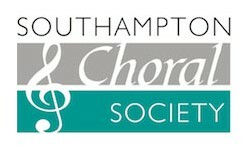 We just wanted to say a massive THANK YOU to Southampton Choral Society for being part of the Proms on Sunday! (29/1/2017) . It was such an incredible day and we were so privileged to have you as part of the evening. We truly appreciate the extra time spent on rehearsal and the learning of new material. We hope you all enjoyed it as much as we did! The feedback so far has been overwhelming positive.